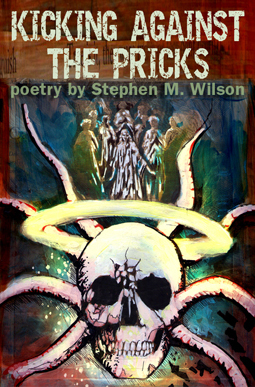 Stephen M. Wilson was Poetry Editor for Abyss & Apex Magazine of Speculative Fiction. He also edited the spec poetry Twitterzine Microcosms (@microcosms) and San Joaquin Delta College’s literary magazine Artifact. Wilson spent over three years as Poetry Editor for Doorways Magazine and as coeditor of the Science Fiction Poetry Association’s annual Dwarf Stars anthology. He’s had several poems nominated for the Rhysling Award and a handful for the Dwarf Stars Award (including a win in 2011). His first book Dark Duet, a collaboration with multi-Bram Stoker Award winner Linda D. Addison, is available from Necon E-Books. 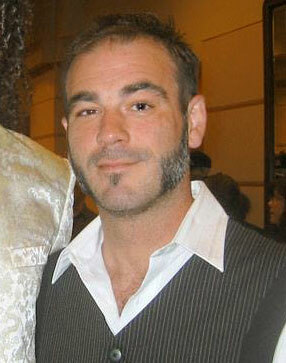 Wilson lived in Stockton, CA with his partner and two dogs. More at: http://speceditor666.livejournal.com.